"Throughout the time in which I am working on a canvas I can feel how I am beginning to love it, with that love which is born of slow comprehension." Joan Miró quote. 1983 - Joan Miro dies in Palma de Majorque at the age of ninety. 1976 - Opening of the Joan Miro Foundation in Barcelona designed by the architect José Luis Sert. 1970 - Miro participates, along with other Catalan intellectuals, in a gathering to protest against the Burgos trial. 1967 - Miro receives the Carnegie prize for painting. The Maeght and the Pierre Matisse galleries organise a Miro exhibition (for Pierre Matisse: The Sun-bird, The Moon-bird, Sparks). 1962 - The Paris National Museum of Modern Art hosts a major Miro retrospective. 1959 - Miro takes a second trip to the United States for a major retrospective of his work. Miro and Artigas win the International Grand Prize of the Guggenheim Foundation for the UNESCO mural ceramics. 1953 - Miro creates ceramics with Artigas. 1948 - The Maeght Gallery becomes Miro’s merchant. This same year, Miro creates his first major illustrated book: “The Anti-Head” by Tristan Tzara. 1946 - Miro travels for the first time to the United States where he meets Calder and Yves Tanguy. 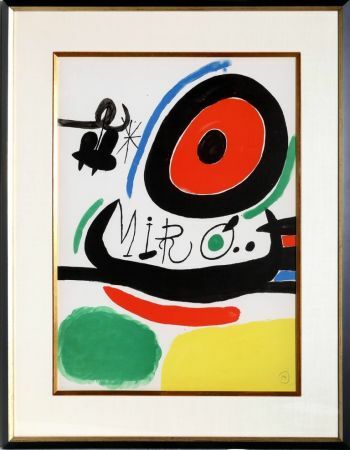 1938 - Miro creates twenty engravings in Marcoussis printed by Lacourière (Black and Red Series). 1929 - Miro is expelled from the surrealist group which includes Masson, Limbourg, Prévert and Queneau. 1926 - In the company of Max Ernst, Miro creates the set designs for the Diaghilev’s “Romeo and Juliette” ballet. 1923 - Joan Miro exhibits at the Paris Autumn Salon and develops a friendship with Prévert. 1920 - Joan Miro participates with intellectual fervour embracing surrealism. From this point on, he spends his winters in Paris. 1907 - Miro takes courses at the Lonja Academy in Barcelona. 1893 - Joan Miro is born in Barcelona, Spain. 1925 - Gallery Pierre, Paris, France. 1930 - Valentine Gallery, New-York, USA. 1933 - Gallery Georges Bernheim, Paris, France. 1941 - Museum of Modern Art New-York, USA, text of the catalogue from J.J. Sweeney. 1949 - Kunsthalle of Bern, Switzerland, retrospective. 1958 - Pierre Matisse Gallery, New-York, USA. 1962 - Museum of Modern Art, Paris, France. 1965 - Gallery Maeght, Paris, France. 1968 - Maeght foundation, Saint-Paul de Vence, France. 1974 - Museum of Modern Art, Paris, France. 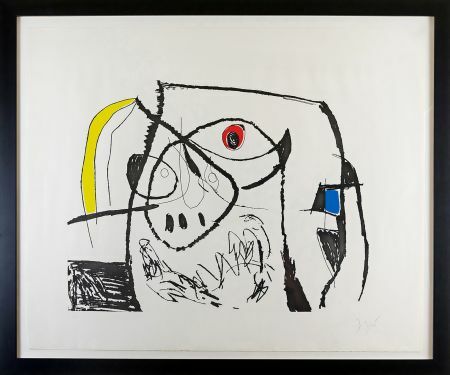 1956 - "Joan Miro" from Jacques Prévert and Ribemont-Dessaignes, Ed. Maeght. 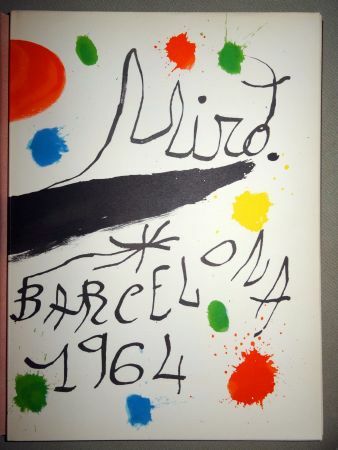 1961 - "Miro" from Jacques Dupin, Ed. Flammarion. 1970 - "Miro" from Roland Penrose, Ed. Thames and Hudson, London. 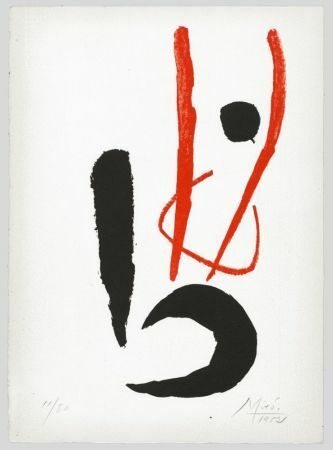 1974 - "Miro" from Jacques Dopagne, Ed. Fernand Hazan. 1977 - "Carnets Catalans" from Gaëtan Picon, Ed. Skira. 1983 - "Miro" from Rosa Maria Malet, Ed. Albin Michel. 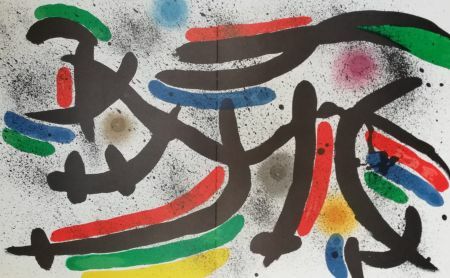 1984 - "Miro" from Guy Weelen, Ed. NRF. 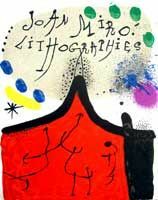 "Miro lithographe", catalogue which reproduce and describe all the original lithographs made by Joan Miro ( about 800 original lithographs). These catalogues are in 6 volumes made by Fernand Mourlot and published by Maeght. 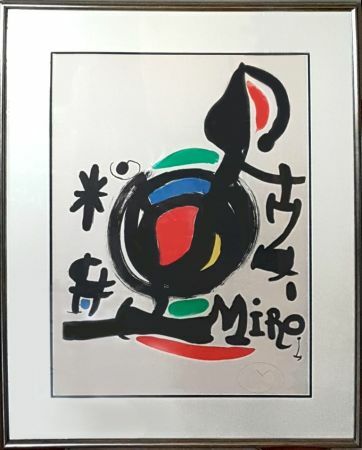 They contains original lithographs by Miro. 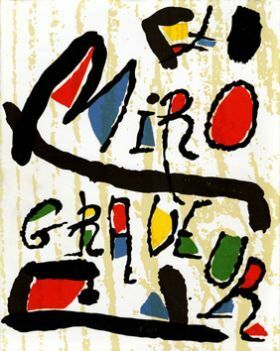 "Miro graveur", in 4 volumes, these catalogues reference all the original etchings by Miro. Catalogues made by Jacques Dupin, Lelong publisher. 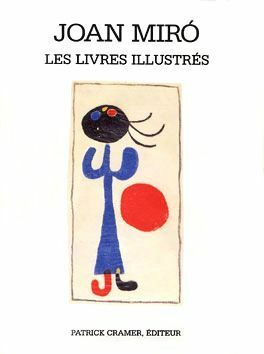 "Joan Miro, les livres illustrés", by Patrick Cramer. 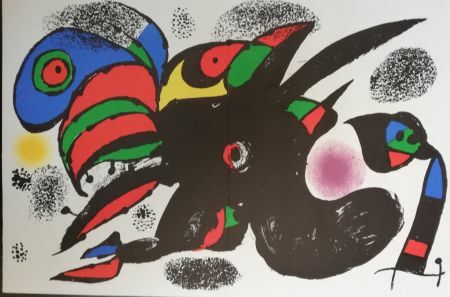 Catalogue for the illustrated books of Joan Miro, including the most famous as "Ubu roi", "Les Adonides", "A toute épreuve", "Le courtisan grotesque" or "La bague d'aurore".